Helen Armstrong is a graphic designer and an educator based in Baltimore, Maryland. She has taught and lectured at the University of Mississippi, University of Tennessee, University of Maryland and Maryland Institute College of Art. She has an MA in English literature, an MA in Publications Design and an MFA in graphic design. In addition to teaching, Armstrong also works as principal and creative director of her company, Strong Design. Her design work—for such clients as Sage College of Albany, USI, and New College of Florida—has won regional and international awards. Her work has been included in numerous publications in the United States and the United Kingdom, including How International Design Annual, The Complete Typographer, and The Typography Workbook. 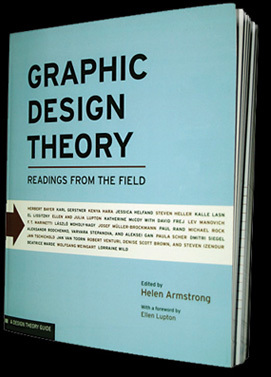 Graphic Design Theory: Readings from the Field, (Princeton Architectural Press, 2009) is her first book.